Being self-confident means trusting in your own abilities, qualities, and judgement. It also means knowing that you can cope and ideally thrive and succeed, even when you are experiencing significant challenge or change. And just because you might feel nervous or even fearful about doing something, doesn’t necessarily mean that you are lacking in self-confidence. For example, actors may feel nervous just before a performance, but know that they have the capability to deliver a great performance when they get on the stage. Self-confidence is really important for leaders and entrepreneurs because, to be truly innovative and progressive, we need to take risks to do new things that haven’t been done before. To positively disrupt the status quo we need to believe and genuinely feel that we have the power and capability within to see it through, and overcome the known and unknown challenges on the way. Self-confidence also contributes to our work performance by helping us to feel better, more energetic, and up for trying and learning more things. This creates a virtuous circle – the more we learn and achieve, the more self-confident we become. 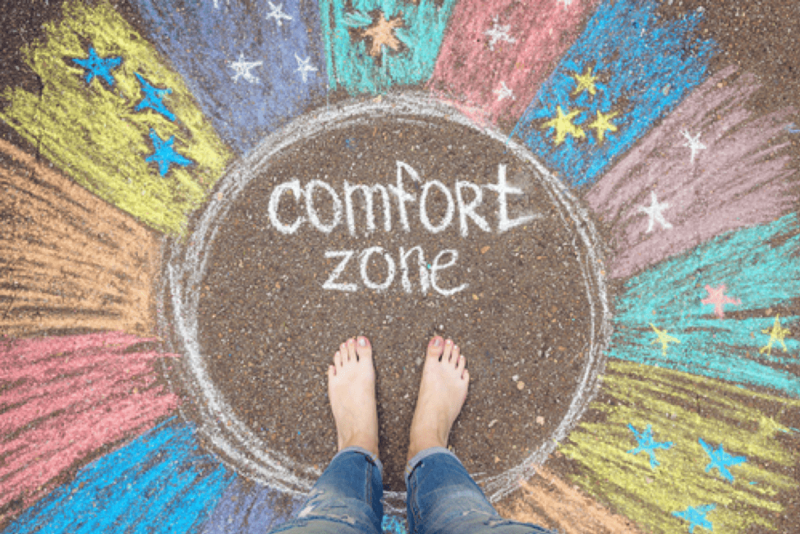 So, self-confidence is absolutely fundamental, and yet, perhaps surprisingly, lack of self-confidence is one of the development areas that my coaching clients really want to work on most. The good news is that, for many people, developing and maintaining self-confidence is a skill that can be learned. The key is to work at the level of your individual beliefs and feelings. 1. Having direct influence, over ourselves, and over our situation. A feeling of lack of influence or self-control negatively impacts our sense of self-confidence. 2. Believing that you have the ability to do, or to learn to do, what you need or want to do, successfully. 3. Believing that what you are doing and how you are interacting with others is in harmony or alignment with who you truly are, and the values that are important to you. 4. Sensing that you care for, and are cared for by others. Those who are more confident in themselves tend to practice more self-care – health, sleep, relaxation, fun, nutrition and exercise. 5. Feeling that we are an engaged, valuable part of our environment. When we don’t have one or more of these, it affects our sense of self-confidence. · Take charge of your mornings, with a simple routine, that you can do each day. Include planning the three things that, whatever happens, you want to do that day. This will help you to develop a sense of self-control over your time and focus. Your morning planning session can be as short as 10-30 minutes. To increase your feeling that you have the ability to do what you need or want to do, successfully. · Set up a personal development plan for each area that you want to develop competence in. o What could you read, watch or listen to that would help? o Who could help you learn the things to want to be able to know or do? · Seek out opportunities to practice the skills that you want to develop. To increase your feeling of working more in alignment with your true self and the values that are important to you. · Make a list of 5 values that you feel represent you. How well do your actions and behaviours reflect those values? · Write intention statements for each of your values that include how you will bring them to life with each of the most significant people in your life, at home and at work. Then, be mindful in each of your interactions with them to bring these intentions to life. Practice and repetition will make this come to you more naturally over time. To increase your feeling of caring for and being cared for by others. · Practice positive self-care through enough good quality sleep, great nutrition and exercise. These things all help to improve mood, which also supports self-confidence. · If you really need help from others, ask for it and accept it with open arms. Most people really like being able to assist others, and feel that being asked appropriately is flattering and engaging. Make sure that you ask for help early on, and when you do, be specific about what support you need, from whom and for how long. To increase your feeling of being an engaged, valuable part of your environment. Engaging in what you do is an action that requires effort from you. Know your talents and purpose, and proactively look for ways to use them in your job. Where possible, use the reframing technique to change your perspective, because sometimes, not always, our lack of engagement can be down to our outlook rather than our circumstances. Reframing is seeing the current situation from a different perspective, helping you to more constructively move on from a situation in which you feel stuck or confused. When we take charge of each of these 5 areas of personal accountability, they can improve our self-confidence. And the good news is that you can work on each of these in depth if you participate in my Idea Time ® Perform online programme. 1. Having our vision and goals. 4. Our affections / emotional quality of life. · Sometimes our beliefs follow our behaviour and vice versa. Think like a successful person – especially when approaching something new. If you don’t know how to be successful, then focus on learning those things that will help you. · Be aware of your posture, facial expressions and body language in general. Sitting or standing with shoulders back, a smile and an engaged posture really does help us to feel more self-confident. Taking a deep breath or two also helps, especially just before an important event. · Look for opportunities to contribute more at work. Ask really great questions, of yourself and others. What are the goals, audience, goals, capabilities and measurements that everyone needs to understand to make the thing succeed? How does this connect to a larger purpose? The biggest part of adding value is getting people to think differently by asking questions. This will improve your influence and profile, as people will want to run their new ideas by you. As a result, your confidence will get a good boost. · Improve your social self-confidence by choosing to become the person who is always connecting people with other people, the network connector. Know who is good at what so you can do this. · Show appreciation for and recognition of the value and talents of other people. You will build stronger work relationships as a result, which will help with your own feeling of being valued. Most of the fears we have are just negative, fictitious thoughts that we are thinking too often, that are the result of us not managing our own thinking effectively. To protect your self-confidence, work out what your fears are, then develop plans to mitigate the risks, use the reframing technique to see things differently and learn how to manage your fear more successfully. · Loss. But think of what you’re going to gain instead. · Process pain. This is the difficult effort involved in making the change. Learn to see change as a gain, and as a challenge that is a positive game. Look forward to the process of change. · Outcome pain. What if we achieve it and we don’t like it or it doesn’t deliver all our expectations? Instead, begin the focus on those things that would be powerful, good and fulfilling. · Disappointment. Having a learning focus prevents you from being disappointed. All disappointment is unnecessary if we accept where we are and what has happened. High standards and visions that may not be achieved are what move us all forward, we just need to understand that it will not be perfect on the journey, and anticipate that. This allows us to not focus on disappointment, and to concentrate more on the journey of achievement. · Rejection. Wanting to belong is an essential part of our evolutionary survival strategy. Rejection can knock self-confidence, but only if we associate being rejected as a personal failure. Instead it is much healthier to accept that a relationship or opportunity didn’t work out and separating the experience from our self-worth. · Losing face, or being judged. This is connected to our desire to be liked and respected. The reality is that none us escape being judged by others. It’s happening constantly, and accepting that none of us can please all of the people, all of the time, is liberating. Make a concerted effort to judge yourself, and others, less. Identify the people whose views really do matter to you, and use them as your barometer, rather than people in general. If you’d like to work with me on building your self-confidence, contact me direct at [email protected]. Developing and maintaining self-confidence is a skill that can be learned, and together we will find the most effective combination of tools, techniques and strategies for you.